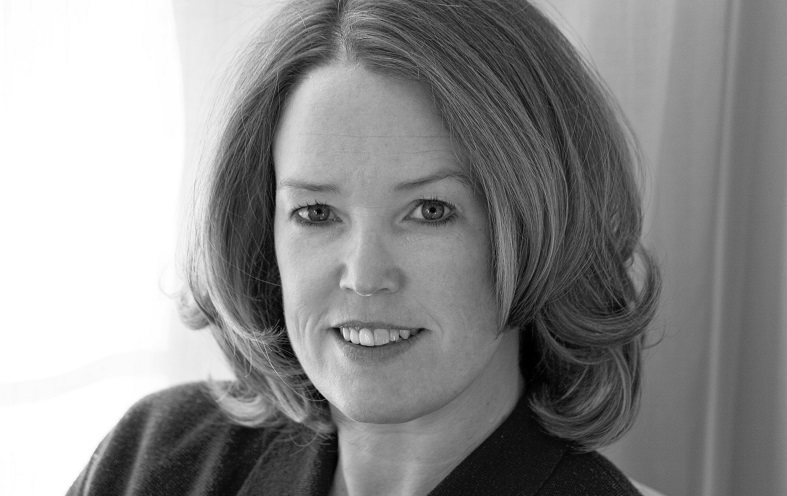 Learn about tourism sustainability in Canada in this interview with Rachel Dodds, sustainable tourism consultant, researcher and Associate Professor at Ryerson University (Ted Rogers School of Management) in Toronto, where she directs the Hospitality and Tourism Research Institute. Recommended books for tourism and sustainability professionals. Rachel, when did you first discover your passion for sustainable tourism? I have always loved to travel, but I think my passion really started when I was visiting Mexico at the age of 15 and saw raw sewage run down the beach into the ocean. I thought, how can these places do this?! Years later, I lived in Australia on the Gold Coast and the highrises left the beach in shade by 3pm every day, and each year the beach had to be replenished from dredged sand because all the natural protection barriers for erosion had been removed and the beach was washing away. This was when I really decided that the only career I wanted to do was to work with businesses and destinations to make tourism more sustainable. My view of sustainable tourism has certainly expanded. I used to think policy was the way to achieve change, but now realize that change can happen top down or bottom up – it is about leadership as well as passionate people who understand the risk of doing nothing. I used to also get discouraged by the lack of action, but now I have no shortage of amazing examples of businesses and people who are inspiring. Why did you decide to set up Sustaining Tourism and work as a consultant alongside your lecturing career? I was a consultant first…I have been consulting since 1998. Funnily, I never intended to be an academic and got my PhD so I could work for the development banks. I have since done consulting work for development banks and realized that I prefer to work as a consultant and didn’t want to be an employee, so when I got an offer to teach and research it seemed like a great fit. I love doing both – consulting keeps me grounded to the industry and what is going on, and teaching keeps me real and inspired as always have some fabulous students. I love to research and find answers to questions or try to prove things, so I think I have the best of all worlds. Your main insights from researching and consulting on sustainable tourism? I believe my main personal insight is that there is always more to do, therefore my work will never be done. The more I learn, the more I realize what I don’t know. I also think we can always improve on processes and there are always advancements in technology or changing political interests that we must take into consideration in order to make change happen and tourism more sustainable. I find that in research, many people write or research about different things, but they are all talking about sustainability – just with a different label. 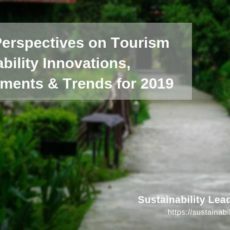 I believe sustainable tourism cross-sects with multiple other disciplines and interest areas – tourism is dependent on resources so climate change, water issues and sustainable livelihood issues all need to be considered as the forefront. Tourism and hospitality cannot be insular in its approach and disciplines, such as geography, political science, engineering, marketing, entrepreneurship and others all intersect. I work hard to try to publish in different disciplinary journals so that sustainable tourism becomes more widely understood and discussed, as often the focus is on the more visible industries, like extractives, but it doesn’t mean it is any more important. As a consultant, I realize that selling the business case is the most important. Each destination or company or policy maker has different goals and visions so I have learned that although I may see sustainable tourism as an opportunity, I must not assume everyone else does or even wants to. As a professor I try to get my students to understand that we can’t keep measuring tourism success based on numbers – increasing yield is much more important than increasing numbers. I also think elaborating on the difference between growth and development needs a lot of attention as we often assume growth is development. 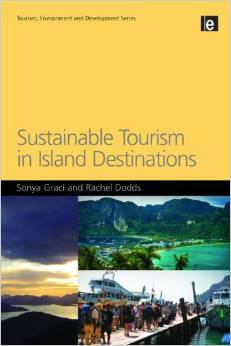 In 2010 you published a book on Sustainable Tourism in Island Destinations, together with Sonya Graci. In a nutshell, what is the book about? The book offers examples of sustainable tourism in islands, both good and bad. We worked hard to try to discuss issues in layman, rather than colloquial academic writing, and outlined the key issues for tourism and the need for change. A number of island destinations are portrayed as case studies, including from the Caribbean, South East Asia, North America, Europe and Africa. Your favorite sustainable tourism examples/success stories? Oh I have so many! Well I love what Fogo Island Inn is doing in Newfoundland and lots of Caribbean islands are really improving their supply chain issues when it comes to local food production in particular. I think the Azores is doing some great things too. Other than just island examples, I was really impressed by the Hacienda Tres Rios resort in Mexico, near Playa del Carmen. They hire all local people and pay fair wages, and are really working to be ahead of the curve when it comes to protecting the cenotes and diverting waste from landfill which is a huge issue there. Goodness, I could go on forever, I usually try to post good practices on my website my website so people can see a myriad of different good examples to be inspired by. In your view, what is the best way to measure the success of sustainability initiatives in travel and tourism? That is a question I couldn’t answer in a paragraph! I think accountability is key and not just on financial, environmental and social indicators, but of all stakeholders too. Inclusion of all stakeholders is key, but accountability and engagement is where change happens. I also think it is about transferability – there are some really fabulous five-room lodges in remote parts of the world, but if they don’t really affect many people, or other destinations don’t learn from them, then they don’t really have that much impact. 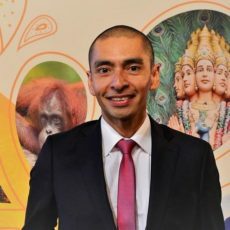 Your advice for newcomers to sustainable tourism research? The Routledge Handbook of Tourism and Sustainability is quite comprehensive, but I also love The Final Call by Leo Hickman published in 2007 – it was a really plain great read that showcased how awful tourism can be, but is motivating you to change at the same time. 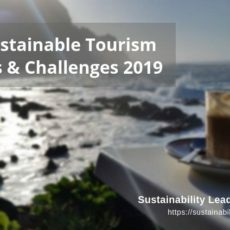 How can we better connect sustainable tourism researchers and professionals? I think applied research is a start – industry needs practical solutions and so ensuring research is widely distributed – not just in academic journals but through industry reports, online publications, seminars and conferences. I try to keep my website up to date too and your website is a great tool to connect both! Connect with Rachel Dodds on LinkedIn and Twitter or visit her website. Enjoyed our interview with Rachel Dodds, sustainable tourism researcher and consultant in Canada? Share and spread the word! ← Ecolíderes de TripAdvisor ¿Bendición o Maldición?